It’s that time of year again and I’m kicking off the December with Baby Lock! That’s right, I joined their team of favorite designers to create easy make holiday gift ideas. 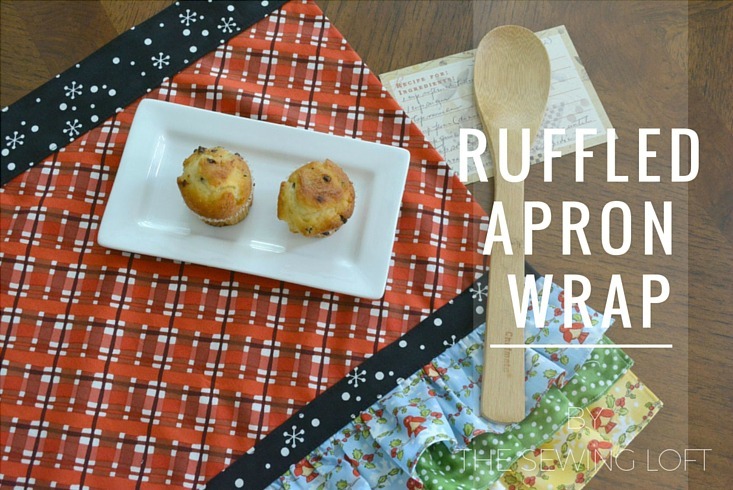 Mine is the ruffled apron wrap. This is one of the projects that you can make over and over again. Just switch out the fabric for a different look each time. Plus, you can keep sewing time to a quick session with the assistance of a few specialty feet. 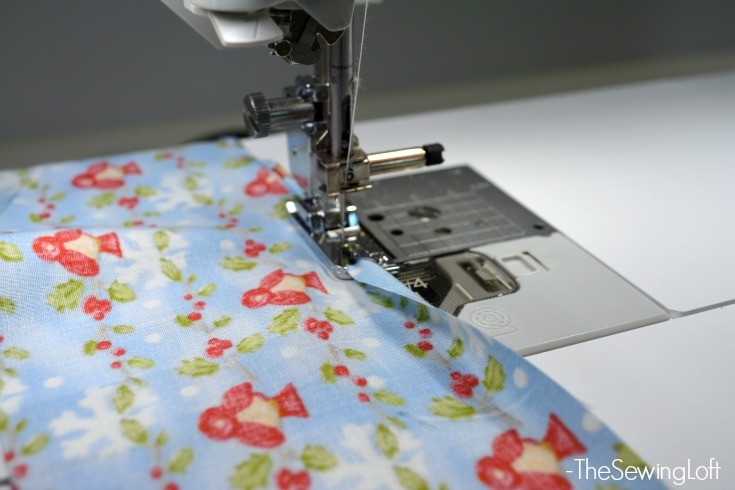 Hemming does not need to be a chore with the help of the rolled hem foot. And the gathering foot keeps my ruffles even and consistant. Not to mention made in one pass on the machine. NO pulling long threads! Don’t you just love the fabric! The line Jolly Holiday “In the City” was designed by my friend Jennifer Heynen from Jennifer Jangles and is produced by In the Beginning Fabrics. The full line is now available in your local quilt shops. 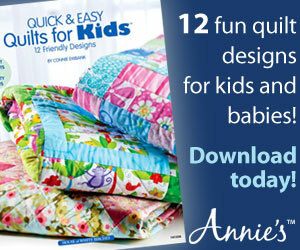 So head on over to see Baby Lock’s gift guide and check out all of the fun projects you can create for the holidays. I’m pretty sure you can find something for everyone on your list! 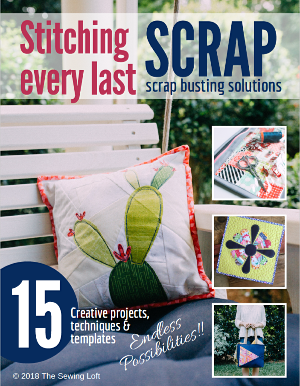 And ps- If these projects inspire you to stitch up a storm for the holidays, be sure to check out the Snappy Holidays and Holiday Happenings from years past. You might spy a few more of my projects! 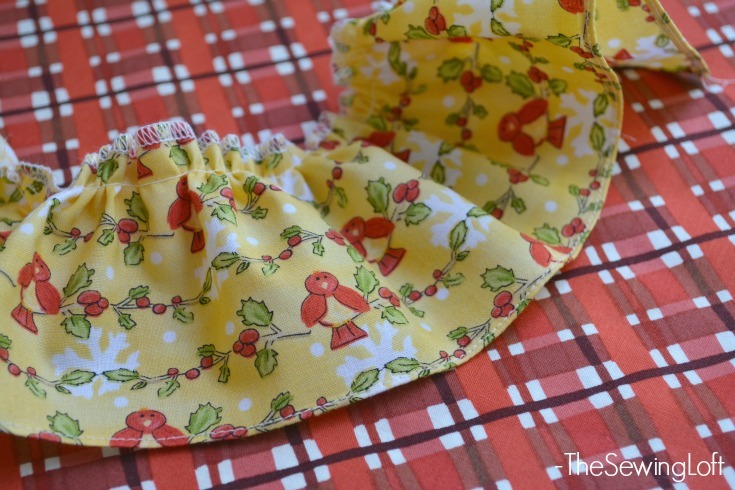 Do you offer a free pattern/tutorial for the Ruffled Apron Wrap? It looks so adorable!!! I’m kinda smitten with the apron myself! Yes, the pattern is free. You can download it on the BabyLock site here: http://babylock.com/gift-guide/. It is featured on page 20. There are many great projects included so be sure to check them out. muchas gracias por todo lo que publicas…me encanta..